Do you look at your ad spending as one Big Picture? Or do you think about sales separately: sales from this webinar and sales from that opt-in? I encourage you to be intentional about your Big Picture Strategy. That’s one methodology I use with my clients, and it’s part of what sets us apart. What does your actual engagement with your audience look like? 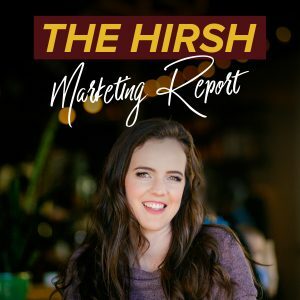 We have a new client who is well-known in her industry, and one thing she does incredibly well is provide consistent, engaging content for her followers. She has a weekly email (with a list size of 100k PLUS) with 40 percent open rates and without very many strategic ads. We started ads for this client, and they’re getting $0.02 clicks! When I look at these stats, I realize that: This client is successful, because she puts value before sales. Her followers appreciate the value she presents regularly, so much that they go crazy for her paid programs every launch. My most successful clients put Value ahead of Making Sales. Sometimes online business owners don’t realize how important free, valuable content is FIRST, before offering a paid program. Some business courses will teach you this simple sales strategy for selling your course: Offer a free webinar -> Offer a paid Course -> Make sales for the course from the webinar. Period. But this strategy doesn’t demonstrate the importance of creating free content and a personal brand first. People will pay for your support. And you will create a loyal following when you put out a lot of valuable content. Are you taking time to create free, valuable content for your audience? Are you taking the time to engage with your audience? How are you building your audience (are you spending on strategic ads)? Does your free content invite the same audience who will also purchase your paid programs? 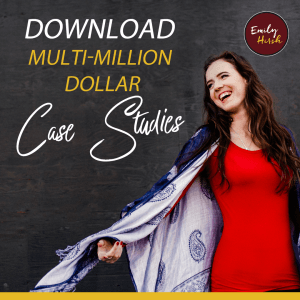 You want to create a strategy to attract a clientele who will eventually buy from you, so you want to create free content specifically for that person. And you need to put time toward this goal. Businesses that see the greatest success are the ones who build their own brand. And you’re the only one who can do that for your business. You need to create, and THEN ask your team to help you implement effective strategy (don’t ask a team of marketers to do all this work for you, because your followers want to hear from you!). The core of marketing is connection. Are you intentionally putting time toward connecting with your audience? If you’re creating for your audience and now you’re ready to implement some ads strategy, reach out to my team! We would love to help you grow your business with intention and strategy.